What is a Geriatric Care Manager? A geriatric care manager is someone who can be hired for a fee to assess an older person’s social and medical needs, arrange services and monitor care on an ongoing basis. An initial consultation typically runs $175, and hourly fees average $74, according to a recent AARP survey. A well-trained care manager can help individuals remain as independent as possible by assessing the alternatives, whether it’s living at home with assistance or in other situations, such as supportive housing or assisted living facilities. A geriatric care manager has been educated in various fields of human services — social work, psychology, nursing, gerontology — and trained to assess, plan, coordinate, monitor and provide services for the elderly and their families. Advocacy for older adults is a primary function of the care manager. We belong to the National Association of Professional Geriatric Care Managers and are certified by one of the three certification organizations for care management — the National Association of Social Workers, the National Academy of Certified Care Managers, or the Commission for Case Managers. Hiring a care manager should be no different than hiring an attorney to help with legal problems or a CPA to help with tax problems. Most people don’t attempt to solve legal problems on their own. And the use of professional tax advice can be an invaluable investment. The same is true of using a care manager. Unfortunately, there are too few care managers and the public is so poorly informed about the services of a care manager that help that could be provided goes lacking. The irony of not using a care manager is that most families, given the opportunity to use the care manager, think they can do it themselves and will not pay the money. Yet the services of a care manager will probably save them considerably more money than do-it-yourself. The cost of the care manager might be only a fraction of the savings the care manager could produce. Care manager services can also greatly reduce family and caregiver stress and help eliminate family disputes and disagreements. Depending on the country and healthcare organization, professional fees for the services of geriatric care managers may be billed privately on a fee-for-service basis. In the United States, they are not covered by Medicaid, Medicare nor by most private health insurance policies. However, clients may be able to bill some services to long-term care insurance, depending on the history of the individual case. A geriatric care manager is a professional. They may be a social worker, nurse, gerontologist, counselor, or other professional. Geriatric care management (GCM) provides assistance for you and your loved one in finding resources, making decisions, and managing stress. 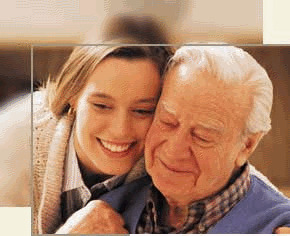 Geriatric care management provides “one-stop shopping” for care for you and your loved one. GCM is especially helpful for long distance caregivers but is helpful for anyone needing some extra guidance and help in caring for someone with dementia. GCM can help families and ill loved ones cope with complex issues. A geriatric care manager also can help families and their loved ones with decisions connected to aging. This includes assistance in all aspects of long-term care, whether at home, in an assisted living facility, or in a nursing facility. If your loved one requires special services or changes occur in their health or life, then geriatric care management (GCM) may be helpful for you. What Services do Geriatric Care Managers Provide? They conduct an in-person assessment. A thorough assessment allows the care manager to understand your needs, customize their plans, and perform services specifically to meet you and your loved one’s needs. Interview questions cover a range of issues relevant to your loved one’s health and living situation. These issues include everyday activities, nutritional status, safety, memory, depression, finances, insurance, health history, and more. They make a care plan. A care plan includes the results of the assessment, recommendations, and referrals for local community options. The care manager will go into great depth in explaining some of the details of the plan, what led to the recommendations, and what you can expect. They will then help to prioritize the list. Previous Post: What is a Personal Care Home?